PROBLEM - Color residue on the skin SOLUTION - COLOR CLEANER - Stain remover for skin Specific double-action fluid: eliminates traces of color on the skin after color application delivering decongestant and soothing action. 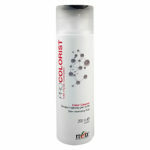 HOW TO USE: with a cotton ball soaked in Color Cleaner, cleanse the affected areas and rinse. Avoid the area around the eyes. PROBLEM - Delicate skin prone to absorbing color SOLUTION - DERMA SHIELD - protective barrier cream Cream barrier enriched with the exclusive Hyalu Colorplex. It protects the perimeter of the face, creating an anti-stain shield. 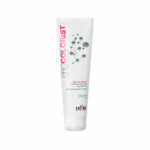 Prevents color stains on the perimeter of the skin. Does not interfere with color penetration. HOW TO USE: Apply on the perimeter of the face, the neck and the back of ears before proceeding with the application of color. PROBLEM - Perm Relaxed SOLUTION - Equalizer - Equalizer to lengths and ends Instant rebalancing paraben-free fluid for damaged hair enriched with the exclusive Hyalu Colorplex. Recognizes and restores excessively porous and more sensitized areas of the hair, restoring natural hydrolipidic balance. Equalizer enhances absorption of color, ensures uniformity and prolongs the life of the color service for ultra performing results. Ideal for rebalancing porous hair and faded color. 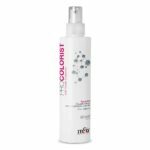 HOW TO USE: spray on dry or damp hair prior to color service. Do not rinse. PROBLEM - Acute redness or particularly sensitive scalp SOLUTION - Scalp Protector - protective scalp lotion Special protective fluid for the skin enriched with the exclusive Hyalu Colorplex and calming agents. Recommend for sensitive scalps or reddened skin, Scalp protector creates a protective film on the skin without altering the color result. HOW TO USE: In case of sensitive or reddened skin, apply directly to the skin, alternatively mix 10 ml in the color compound, then proceed with the normal application.